For this week’s Sunday Funnies , I made a sketch out of everyday object, in this case, a sharpie. For this week’s Sunday Funnies assignment, I used a USB stick as the back of a shipping truck to make my own sunday sketch in a similar style to Chritoph Niemann. For this week’s Sunday Funnies assignment, I used the apple logo on my computer to recreate the PAC-MAN game. This idea came to me while I was playing PAC-MAN using the new feature on google maps. I darkened the picture to make the light from the apple logo standout. This week, with spring in mind, I turned a cosmetic brush into a blossoming flower. This idea came to me pretty quickly as I laid the brush down on a blank background and saw a sunflower in the making. I thought it would be timely with Easter this weekend and finally some spring weather in Atlanta. This is my Sunday Funnies for this week (click here for the assignment)! I took a wooden spoon that I found from orientation week here at Emory and used it as the oar in a boat. Here is my 8th Sunday Funny! 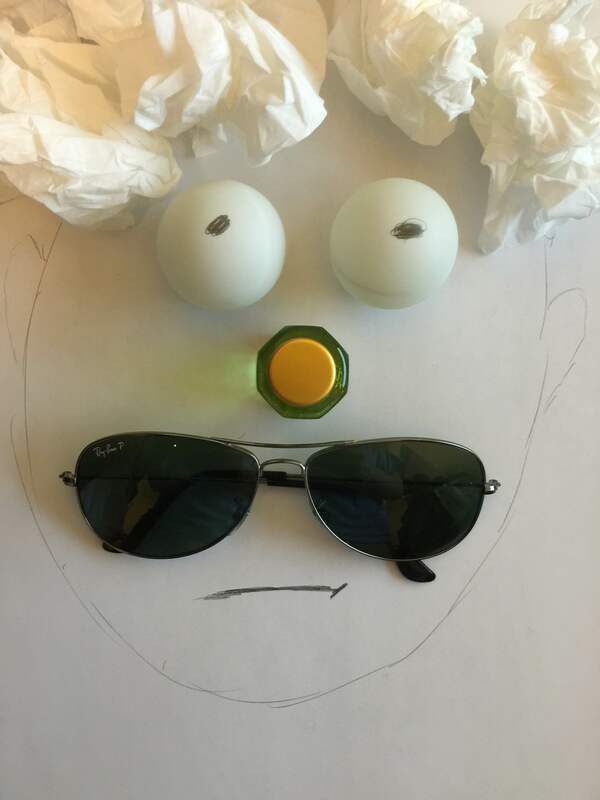 The idea of this Sunday Funny is to make an image using everyday items. Christoph Niemann is an illustrator, artist, and author whose work regularly appears in the New York Times, the New Yorker, and elsewhere. He’s got a mixed media series that he calls “Sunday Sketches” (some examples in his portfolio here or check out his Tumblr for more), in which he takes some object from his surroundings and creates a sketch on the page around it. For this week’s Sunday funnies assignment, make your own Sunday sketch in a similar style.